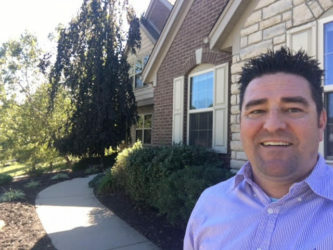 Dave Clabeaux, a seasoned real estate investor, is now flipping houses in Northern Kentucky. Having recently relocated with his wife and son to Northern Kentucky, Dave Clabeaux has just started his first rehab project in the area. Dave Clabeaux got his start in Tampa, Florida, where he was fortunate enough to find a mentor who helped teach him to flip houses. He invested in half a dozen properties in Tampa before he decided to pursue real estate investing full time. In addition to rehabbing, Dave Clabeaux enjoys many aspects of real estate investing, including rehabbing, offering rental-to-own properties, and building a retirement portfolio by acquiring properties with no money down using owner financing. Dave Clabeaux is also very passionate about teaching others how to build wealth through real estate. He works one-on-one with clients across the country to help teach them how to rehab houses. Through these relationships, he has successfully helped dozens of people flip their first house. Dave Clabeaux plans to rehab 3-4 properties in the Northern Kentucky area this year, while continuing to mentor and help beginners complete their first successful flips.